The legal needs of not-for-profit organisations, such as governance, taxation, and employment issues, are well matched with the expertise and experience of corporate law firms that undertake pro bono work. 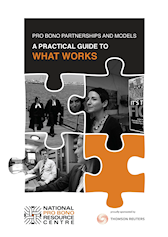 What pro bono advice, assistance and information is available? 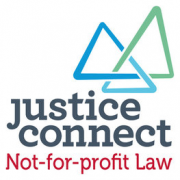 The Not-for-profit Law Information Hub, provided by Justice Connect’s Not-for-profit Law Service, contains free, detailed information on the legal issues impacting on not-for-profit organisations, taking into account the specific laws in those states. The Not-for-profit Law Service can also assist established not-for-profit organisations with telephone advice, pro bono referrals and training. Not-for-profit organisations who can not find the information they need on the Not-for-profit Law Information Hub can contact their state or territory’s pro bono referral organisation – for more information see below. 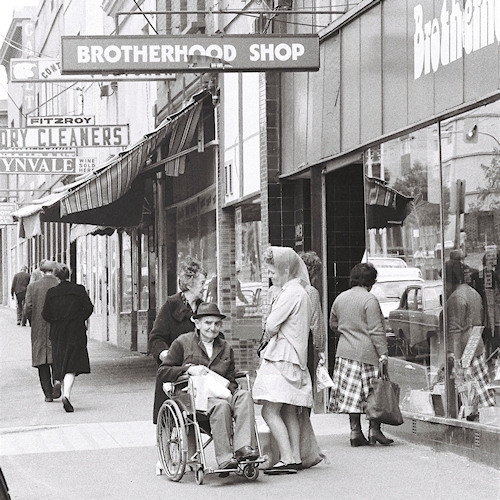 Help establishing a not-for-profit organisation? Legal assistance for your organisation? Help referring a client for legal assistance? Suitable volunteers with legal experience? 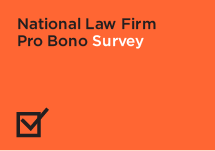 A Pro Bono Referral Scheme or Organisation may be able to connect you to appropriate pro bono assistance. Visit the Not-for-profit Law Information Hub for a wealth of information about legal issues to consider when establishing a not-for-profit organisation. The Not-for-profit Law Service can assist established not-for-profit organisations with telephone advice, pro bono referrals and training. The Office of the Registrar of Indigenous Corporations (ORIC) website provides information about starting and running an Indigenous Corporation. ORIC’s LawHelp service can also refer established Indigenous Corporations to pro bono assistance. A Pro Bono Referral Scheme or Organisation may be able to assist you to refer an individual to appropriate pro bono assistance. You can advertise legal volunteer (and paid) opportunities at your organisation on the Centre’s Social Justice Opportunities website, Facebook page and Twitter feed. This is a free service.